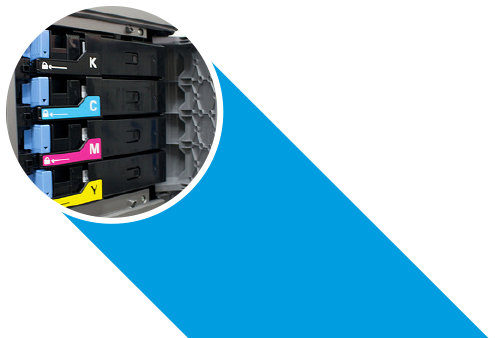 The perfect solution, suitable for all your printing needs, in terms of quantity, lead-times and costs. 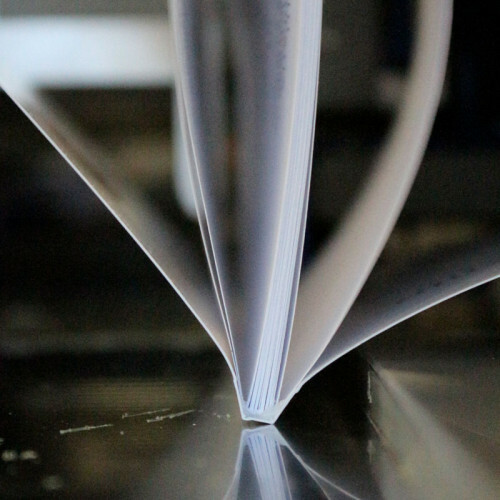 We produce a wide range of printed matter, from small to large formats, all products are made with attention to detail and precision in their finishing. For more than 100 years the company Gruppo Stampa GB has been an important business in Milan working in Graphic Design. A history of passion, dedication and continuous development, with the precise aim of satisfying the needs of customers through experience and innovation. 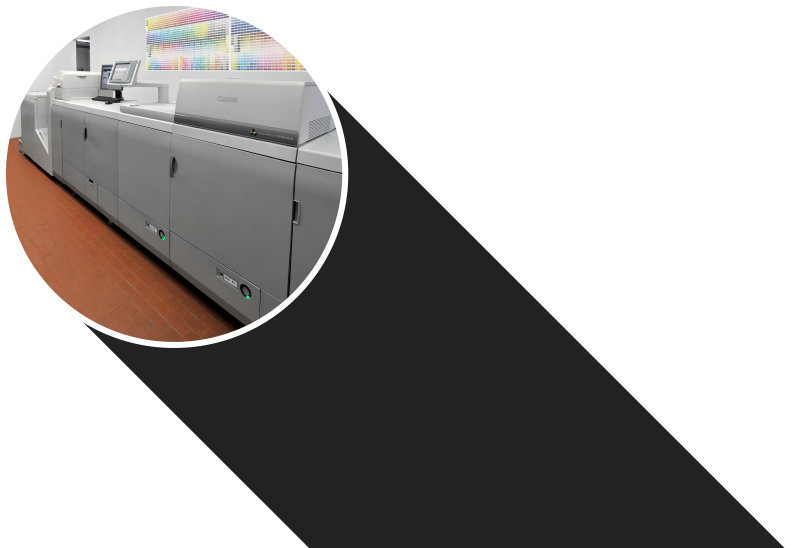 Today Gruppo Stampa GB offers avant-garde equipment and machinery, complete professionalism and high quality throughout the creative and printing stages: accurate interaction with customers, attention to detail, precision, speed in production and delivery. A complete service for all types of printing requirements. OFFSET and DIGITAL: the complete solution. Leaflets, flyers, booklets, brochures, catalogues, advertising inserts, posters, stickers, pins, bags, place mats. We specialize in preparing products for shows and exhibitions, from preliminary to final programmes, flyers, catalogues, badges, membership cards for car parks, including the insertion of any printed material into congress bags. Business cards, letterheads, envelopes, labels, invoices and receipts, diaries, planners, wall and desk calendars, brochures, writing pads. Posters, banners, Photo/Canvas print, printed panels, flyers, blinds. Our personalized COLOR DAY table and wall calendars. Brochures, books, photo book magazine short runs. A wide range of clients: big and small, but all given the same importance. It is the technology to produce printed text on various products, using an embossed matrix composed of movable type or inked cliché. 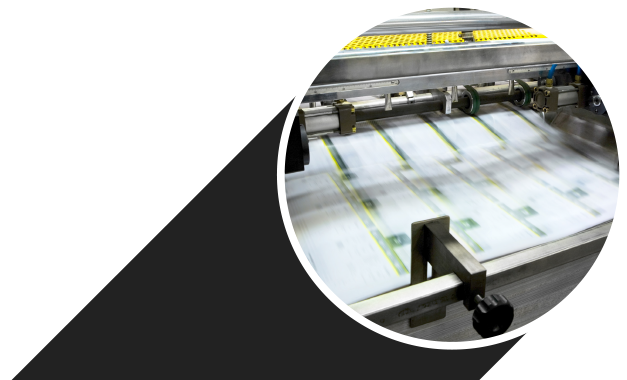 Today printing is done with the use of a matrix such as lithographic plates (offset printing) or directly with digital printing, that does not require a matrix. 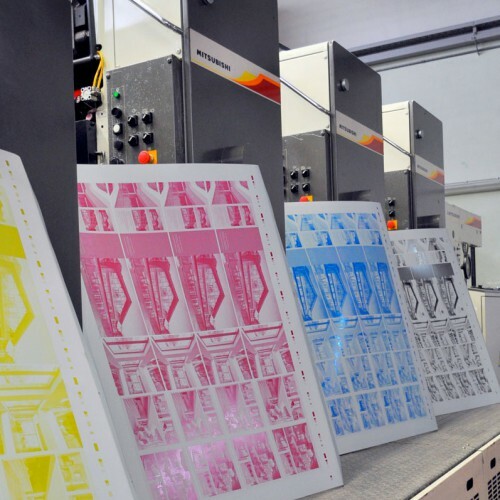 There are four main points in producing a printed product: – Choosing the graphics and style – The layout of the project – The material to be printed – The final packaging of the product. COMPUTER TO PLATE: It Is the technology that transfers images and texts from the computer to the offset plate. With this method the image looks clearer compared to the old typesetting technologies. 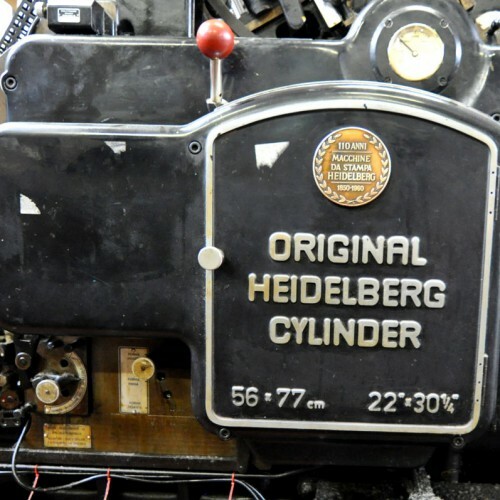 Nowadays known as traditional printing, separating it from digital printing, it is a planographic printing technique, used indirectly. Planographic because it uses a flat matrix, the lithographic plate; used indirectly because the plate does not directly print onto the paper. The plate is soaked by an inked roller, then it transfers the ink onto a rubber roller which in turn stamps the image onto the paper sheet. 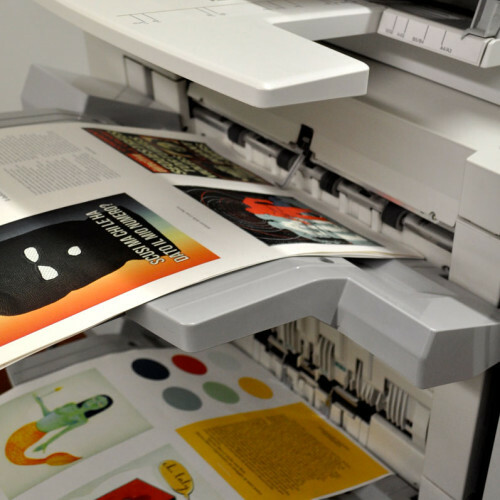 Offset printing allows printing to be done even onto rough papers, still maintaining the quality of the print. It is the most modern method of printing, where the images are generated and imprinted directly onto the base by only using electronic processes from a computer and a printer. Today digital printing has achieved very high quality standards, such that they can be compared to those of offset printing. It is ideal for medium and short runs, and its strong point is it’s fast production. 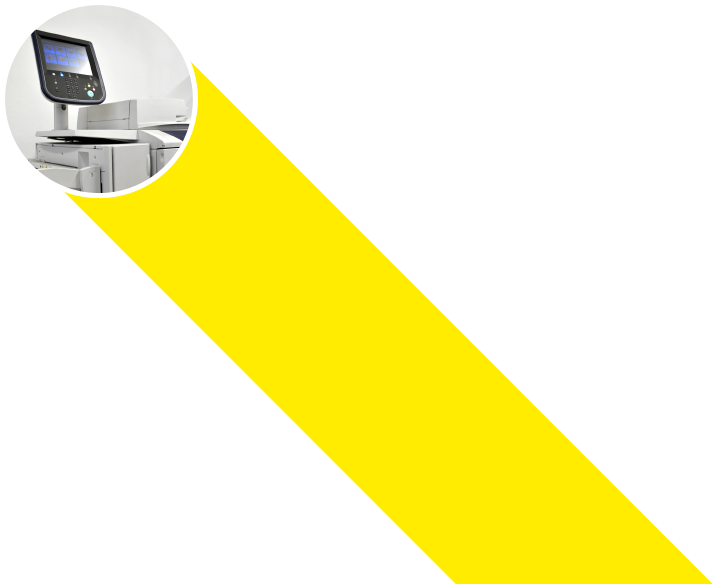 It is the matrix used in offset printing, prints using UV or laser rays directly from a file, using CTP technology. 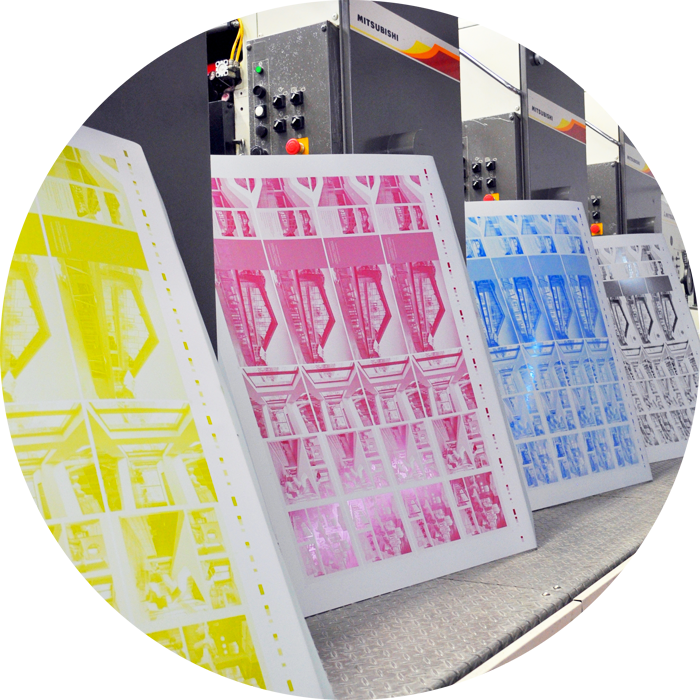 Each plate is a CMYK color and each offset machine will mount a plate for each colour to be printed: just one plate if the printing is monochrome, four plates for four-colour printing and eight if it’s four-colour printing, front and back printing. 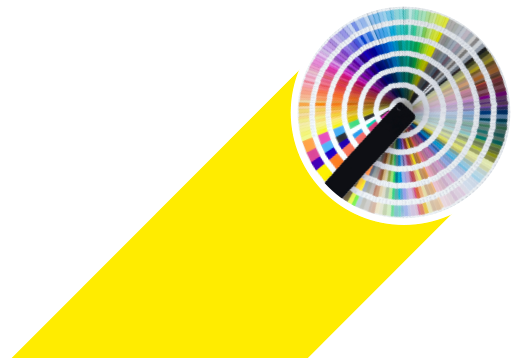 CYMK stands for Cyan, Magenta, Yellow and Key black. This is the colour model for four-colour printing, the four main colours of modern printing systems. 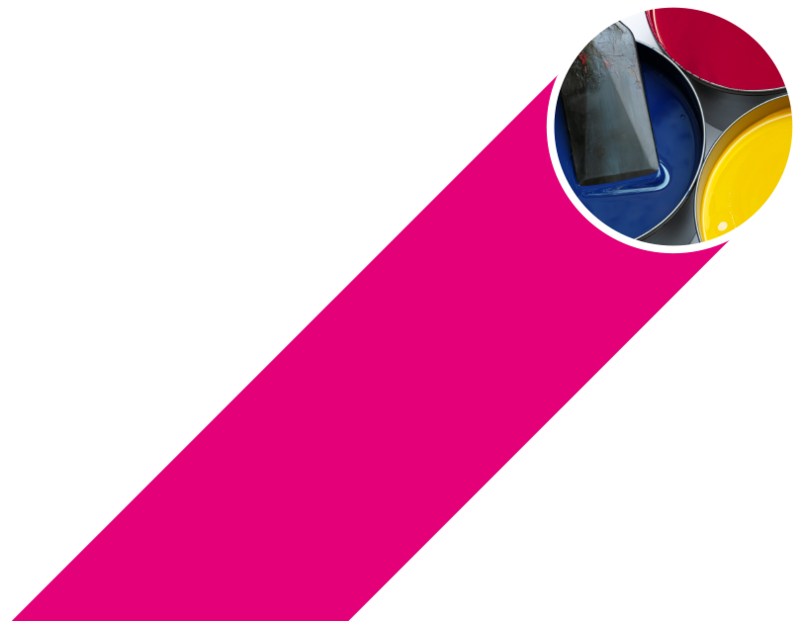 Key Black is the decisive plate by which the CTP technology properly aligns the plates of the other three colours, namely cyan, magenta and yellow. 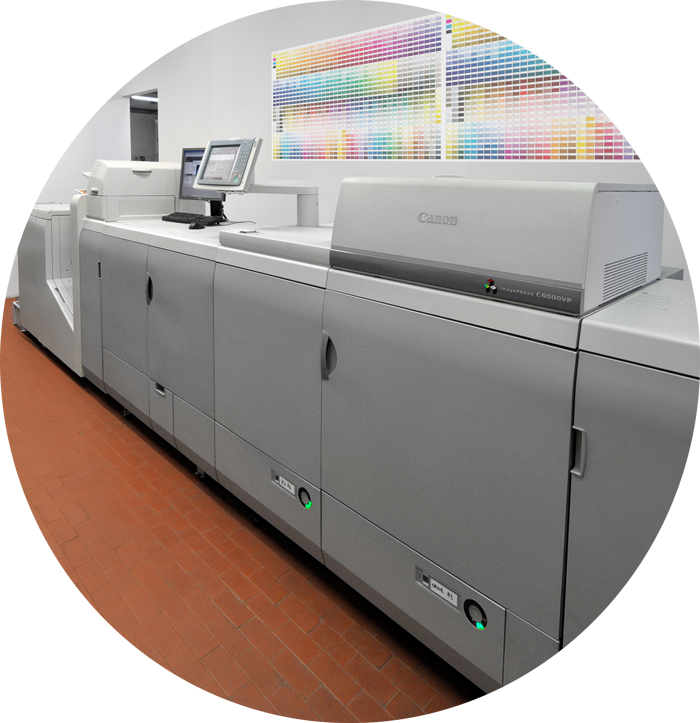 It is a system that was created in the 1950s in order to classify the colours and translate them into the CMYK four-colour printing system, by way of a catalogue that groups them into codes. Unlike the RGB and CMYK, Pantone is a code made up of family colours, identified by letters and numbers. Just like a flyer but with horizontal orientation. Acronym for Red, Green, Blue, a colour model of additive type, the opposite of CMYK which instead is subtractive. It is used in graphics for computers. It is the material onto which the printing is made. The most common and widely used is paper, but you can also use a wide variety of surfaces, such as plastic, metal, canvas, wood etc. It is the most versatile printing base and can be smooth or rough, done in relief or with special decorations, light or heavy, white or colored. There are several types on the market: from uncoated paper to cardboard, from glazed to chemical and so on. The ratio between the weight of the paper and its surface is called grammage. A good printer can impress you by recognizing the weight of a type of paper through the sense of touch alone. They are the two sides of a sheet of paper. The face is the front, the back the reverse. It is a very fine print, used to decorate and embellish products. It is often in a gold or silver colour and can be printed on paper but also on other materials such as on leather. 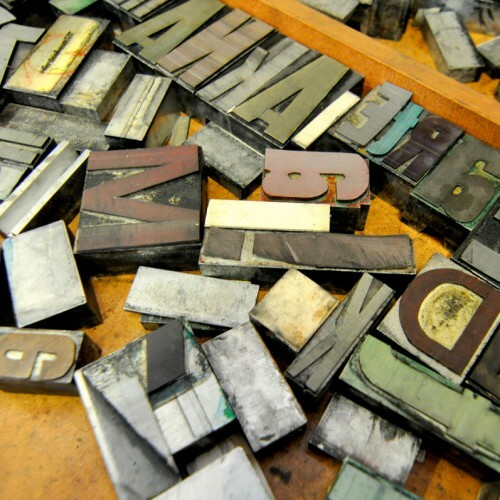 It is a technique that allows you to produce raised printing on paper and cardboard through the use of appropriate cliches. It can be combined with other special processes to create distinctive products. It is a technique that uses a fabric press as a matrix. The ink is left on the base passing through the fabric in the areas which are left free, like a stencil. It allows you to print on many different bases using any ink, material or pigment that is able to filter through the weave of the frame. It is a special process that elegantly completes a print. The gloss gives brilliance to colours, the matte creates a velvet effect. It can be carried out over the entire printed area or only on certain areas, creating pleasant and unusual contrasts. It is a protective coating for paper designed for special purposes or simply to beautify magazine covers, postcards etc. There are various ways of folding paper, as taught by origami. It is a groove imprinted into the paper to facilitate a fold, to prevent cracking and breaking the paper. Once the creasing has been done the fold will be made on the opposite side of the groove. A sheet of paper small in size printed for advertising purposes. It can be printed on one side only or on front and back. Today it is also known with the name Flyer, especially when regarding small leaflets for businesses, restaurants and invitations to parties or special events. Also known as a folded leaflet, it is a sheet of paper printed on both sides that has one or more folds. Also known as a brochure, it is a printed commercial or advertising product that has a limited number of pages. It usually has a cover and is metal stapled. It is a large sheet of paper which is printed only on one side. It is vertical in format and its purpose is usually to advertise a product or an event. It is a small poster usually used for cinema or theatre purposes.